Imagine, you walk into your first class at a brand new yoga studio. You’re excited to get your vinyasa on, but when you go to sign in, there’s a huge crowd around the front desk. The computer system isn’t working, the teacher is no tech expert, and, bless her heart, she has no idea what to do. She’s clearly frazzled, and instead of the tranquil vibes and good karma you were hoping for, there’s chaos. 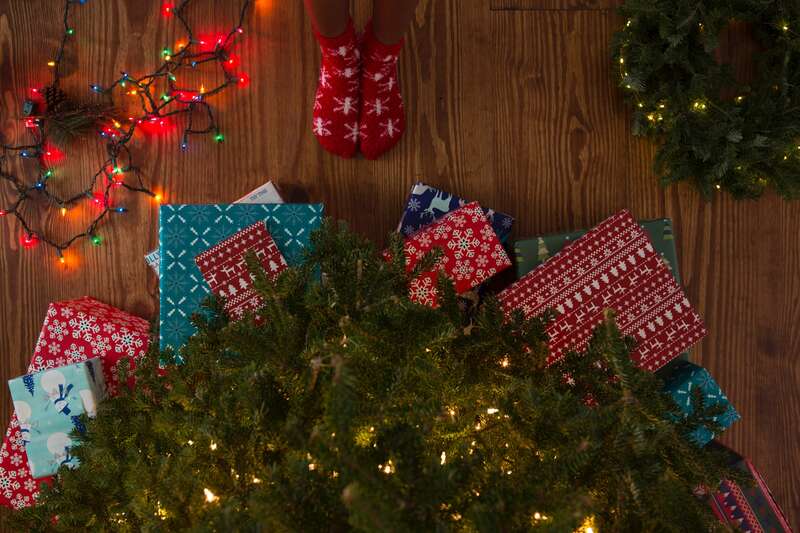 After a long day, the last thing you wanted was more stress. There are a lot of different, working parts that go into making the ideal fitness studio. 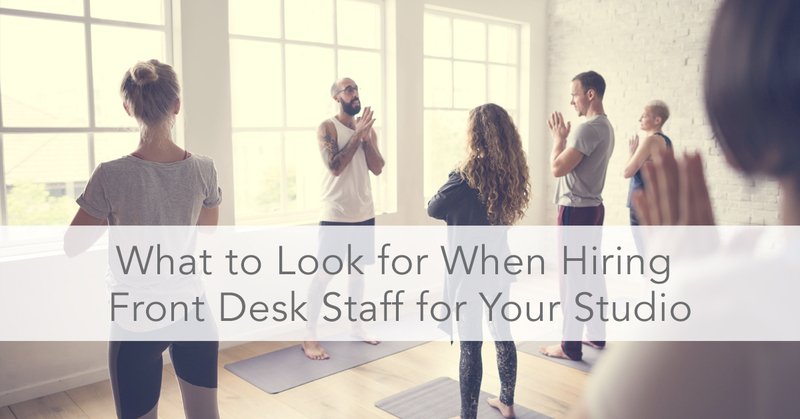 Between having top notch instructors, high-end equipment, offering valuable amenities, and considering the overall feel of the space, there’s one key ingredient that often gets overlooked: the front desk staff. To avoid disruption, confusion, and unnecessary stress for your members, look for these qualities to hire the best of the best for your front desk. Find someone with a light-hearted personality, who will actually engage with your members. While it is important to be serious about your job, most people come to a workout to escape from everyday life for a little. Members want someone who is going to be the bridge between reality and relaxation. New members, especially, want someone who is excited to show them the space, help them get adjusted, and continues that energy every time they come to the studio. The front desk staff shouldn’t be afraid to ask how someone’s day is going, because these are the people who are going to actively help to build your community. After all, they’re the face of your studio! There is nothing worse than interacting with someone who clearly hates what they’re doing. Your staff should be passionate about wellness, whether it’s "fitness" or not. Ideally, they are someone who has taken class at your studio, or practices the types of workouts you offer. Most people who are passionate about wellness aren’t afraid to try new classes, and they are highly motivating to those around them - use that to your advantage Let’s be honest, we’re not always excited about working out, but if the person signing you in is happy to be there, chances are you’ll be encouraged to enjoy your class. Whether your studio is your full-time job or just a passion project, it is still your business. At the end of the day, your front desk staff are the people ultimately selling your product. They should know your class packages inside and out. Specials or promotions you’re offering? They should know it like their iPhone password. Selling merchandise at your studio? Make them experts. How do you get your staff excited about being experts? Teach them. The more authentically they can talk about your classes and what the students are getting, the better. As a studio owner, you know there are always going to be bumps and hurdles, even on a day-to-day basis. Whether it’s an issue with a member’s account, a stalled music playlist, or having to find a last minute sub for a class, things happen! Look for a front desk staff member who is going to be agile and remain calm during a moment of disruption. The last thing you want is for your students to be worried or stressed before they head into class, and your students don’t want that either. Last, but certainly not least, look for someone who genuinely cares about you, your business, and the humans walking through the door. Find people who want to build relationships with your students. Look for the type of person who wants to get to know each and every customer, someone who will look people in the eye when they sign in. Fitness studios often become second homes to many people, and the front desk staff has the ability to create a community that feels like family. Just like your instructors, your front desk staff are an essential component to making your studio a home away from home for your customers. At the end of the day, choose someone who would make you want to be part of your studio family - it’s just that simple.